So you have Windows Vista. 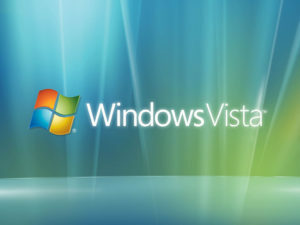 Well today is the end of support for Windows Vista. Browsers such as Google Chrome have already stopped updating their browsers for Vista operating systems, and now Microsoft will no longer release any patches for their system. This means that if there are (and we know there are) any bugs in the system, they will not be fixed. I don’t think this will be nearly the problem it was when they stopped their support of Windows XP as Windows Vista was never a very liked operating system anyway. Basically, what this means, is your computer should still continue to work – but you will now be at more of a risk of getting malware or viruses on your computer. Since any bugs or holes found in the software of the operating system will no longer be fixed, soon as that exploit is found, the hackers will be able to use it to get control of computers running Vista. We would strongly suggest no longer using these machines for ordering things online nor looking at your financial accounts either. If you have Windows Vista and are interested in upgrading or purchasing a new computer, let us know and we can help and guide you in the best direction. We do offer computers for sale as well, but we do have to order them. Depending on the specs of the computer on weather the upgrade would be worth doing for your current computer. The new computers are so much faster than the computers from years ago, that it is almost always worth purchasing a newer computer instead of upgrading – but again, this is a computer by computer decision – along with how you use the computer. If you are using Windows 7 or newer then you probably are seeing the popup for the Free Windows 10 Upgrade. Anyone who wants to upgrade is welcome to upgrade as this will be a free upgrade for a few months. We know there are a few customers out there who do not want this upgrade. However, Microsoft has decided that they are going to start pushing Windows 10 upgrades out through their automatic windows updates. This means that you might go to lunch one day, and when you get back your computer could be upgrading to windows 10. In the last 36 hours, I know of at least 7 computers which have had this update pushed through automatically. Please be sure to always save your files before leaving your computer as the computer, when it decides to, will start the installation even if you have files open and then you risk losing any work you have done in those files. The biggest suggestion out there to stop the upgrade is to turn off automatic windows updates. Will this work, I’m not sure as we have not tested that theory. If you don’t want it, then I would suggest doing that. The problem with that is then your computer will not be getting the security fixes it should be getting from those updates. There were also a couple of other hacks that were possibilities, but we had tried them in the registry and they did not work. We don’t agree with Microsoft’s new tactic of automatically upgrading your operating system, but there is nothing we can do about it. Personally, I really like Windows 10 and I’m glad I have it. There were a few things that were different, but it basically has the best features of Windows 7 & Windows 10 put together. Your printers no longer work after the update. For some reason the drivers don’t seem to always go across smoothly and usually this can be fixed by just re-installing your printer. If this does not work, make sure your printer is Windows 10 compatible as some of the older ones will not be compatible. If there are not Windows 10 drivers available yet, the Windows 7 or 8 drivers normally still work. If you use SD Cards, transferring the pictures to your computer becomes a little more of hassle as there are a couple of extra steps you have to go through to get the pictures to your computer. The biggest issues we have seen are the login not working right away. The password seems to have got corrupted for some reason, but we were able to get that reset since they had another administrator account on that computer. There are other ways we can do this as well if it does happen to you – although the chances are very slim of your login being corrupted.